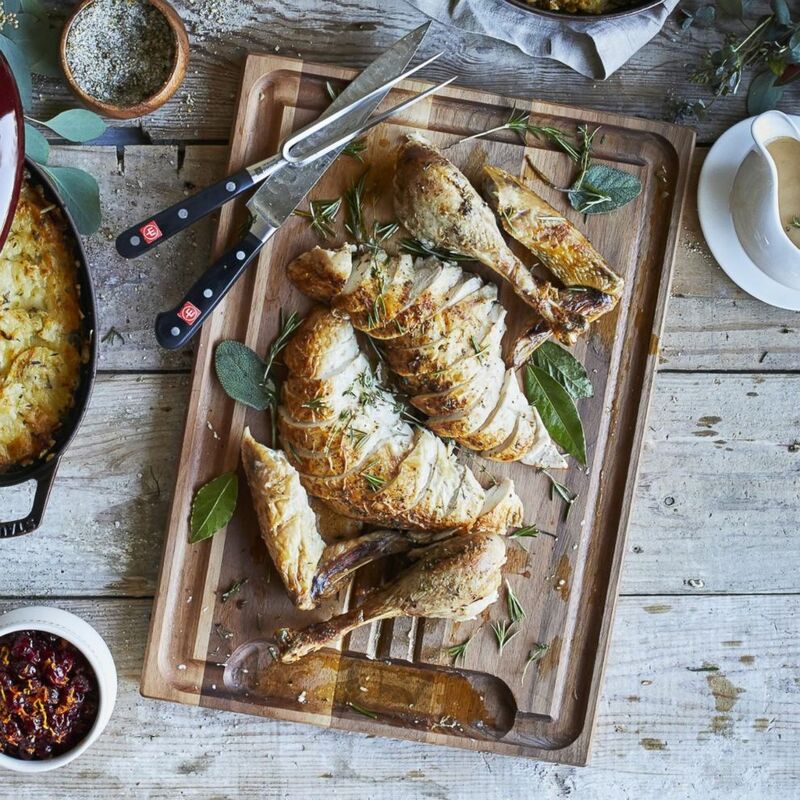 With Thanksgiving fast approaching, it's time to take stock of what's in your kitchen and make sure you have the right tools. 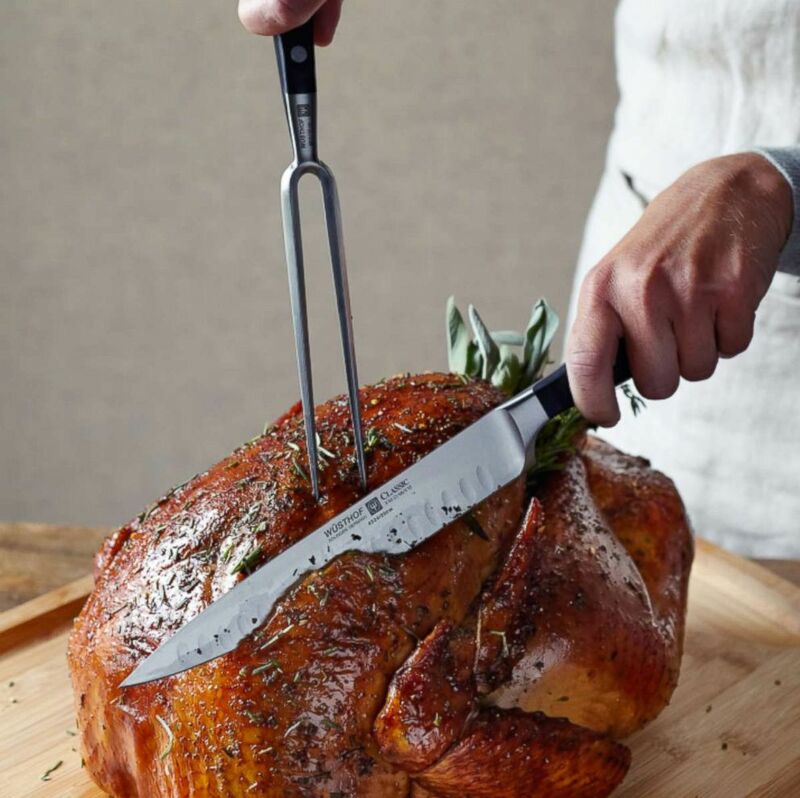 Below is a list of tools -- from roasting racks to rolling pins -- that you'll need to have on hand to whip up Thanksgiving dinner and dessert like a pro. Still looking for recipe ideas or time-saving tricks? 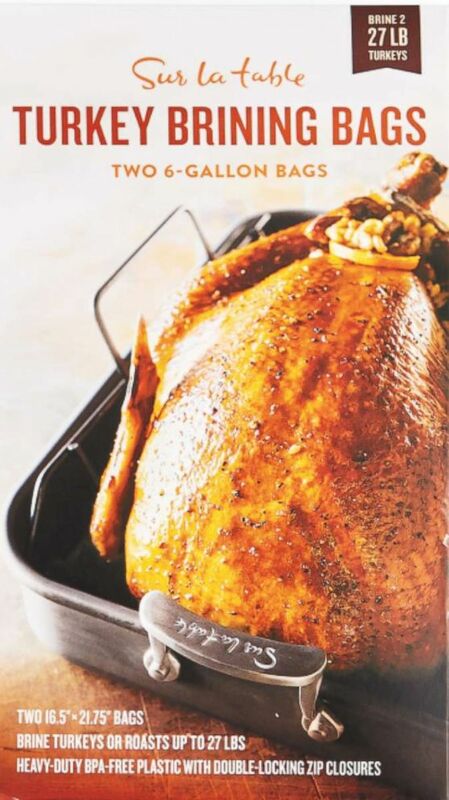 Read our countdown to Turkey Day guide with tips for what to do when. 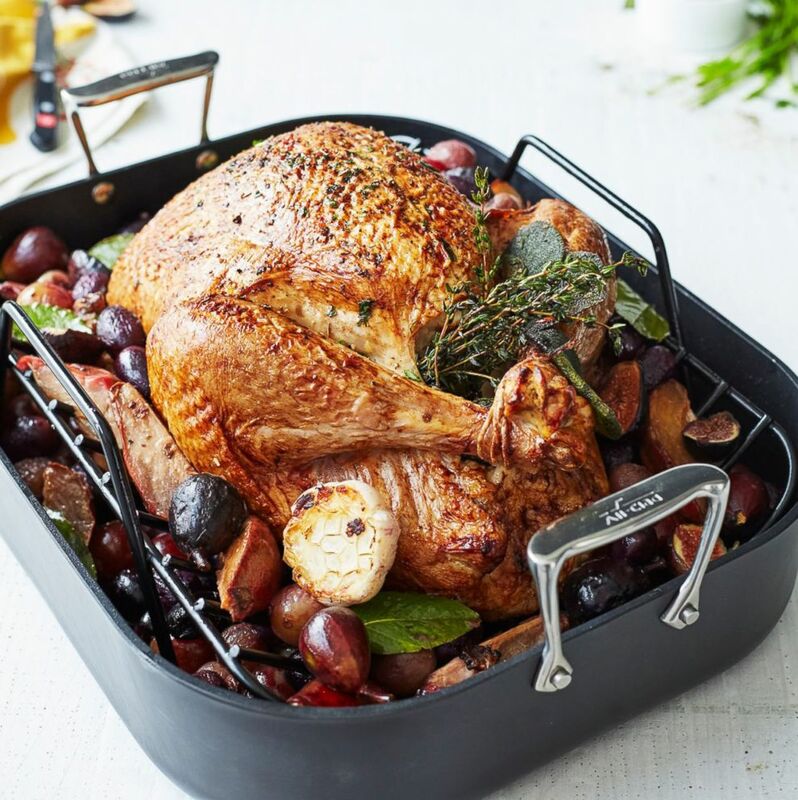 All-Clad HA1 Nonstick Roasting Pan with Rack, 16" x 13" from Sur La Table. Classic 2-piece carving set from Sur La Table. J.K. Adams reversible carving board from Sur La Table. 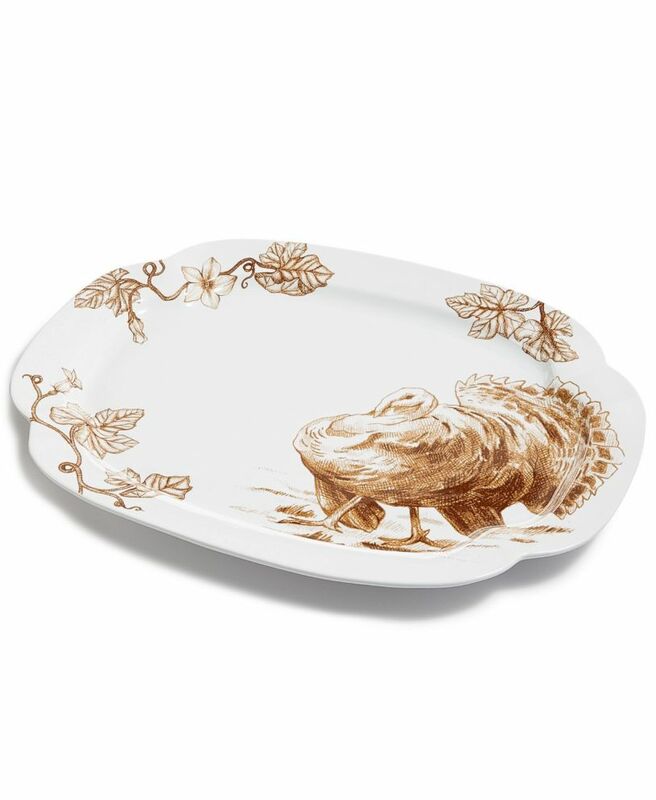 Turkey serving platter from Macys. 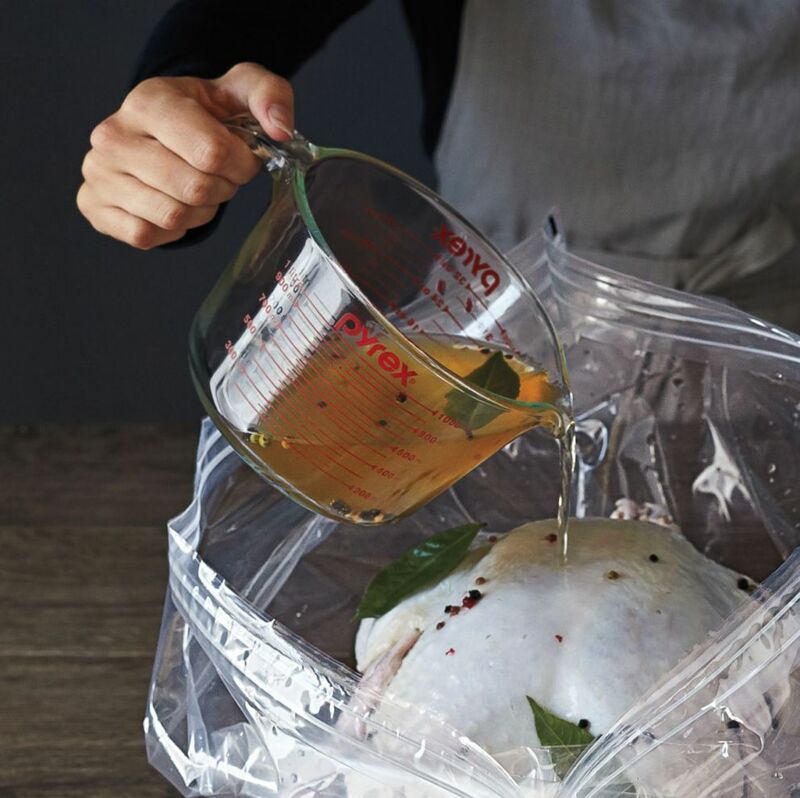 Sur La Table turkey brining bags, set of 2. 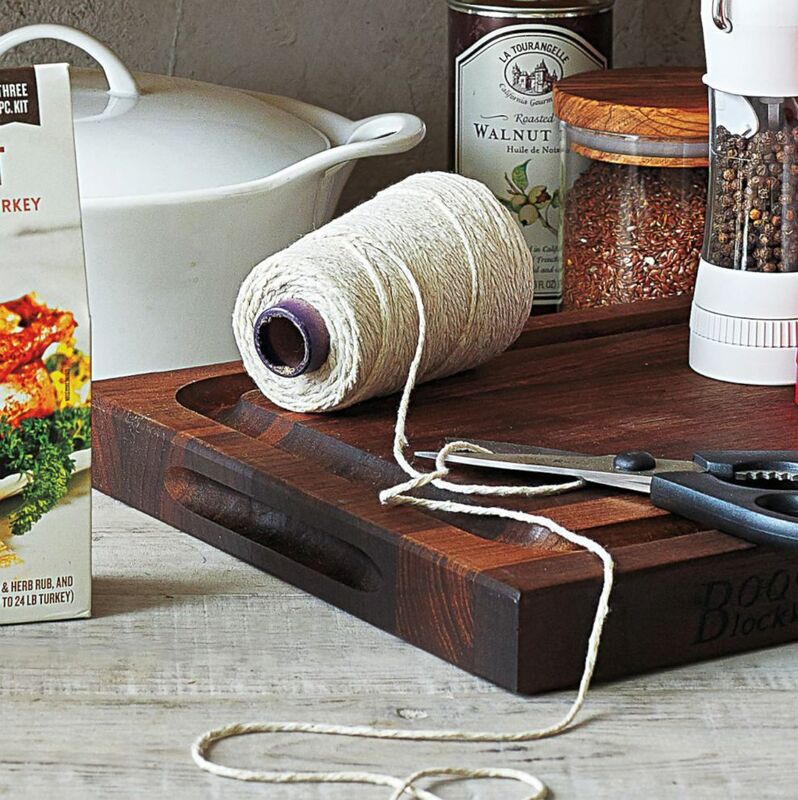 Regency natural chef-grade cooking twine from Sur La Table. 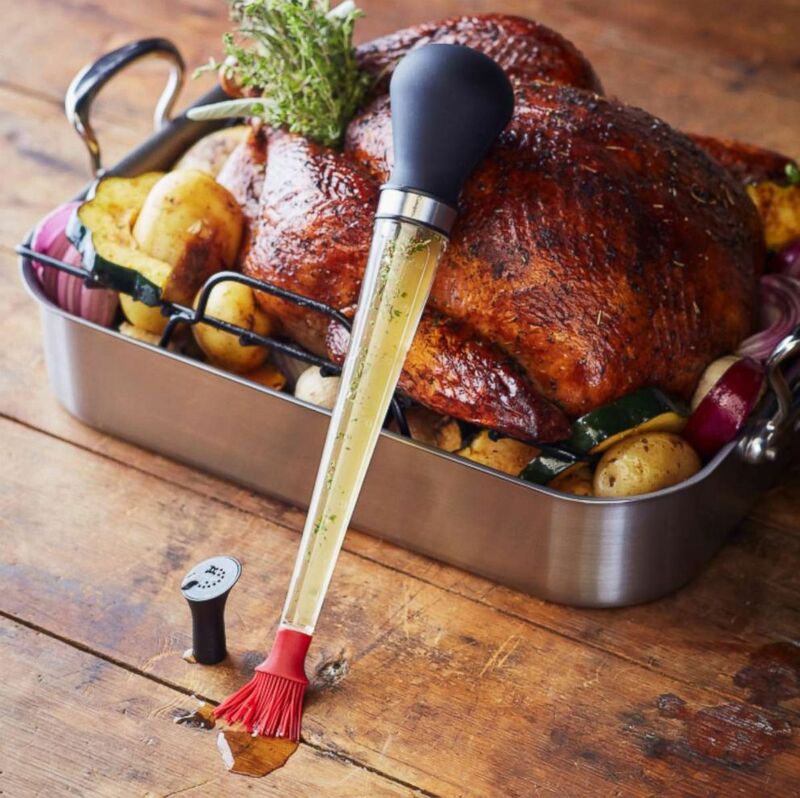 Cuisipro 3-in-1 baster from Sur La Table. 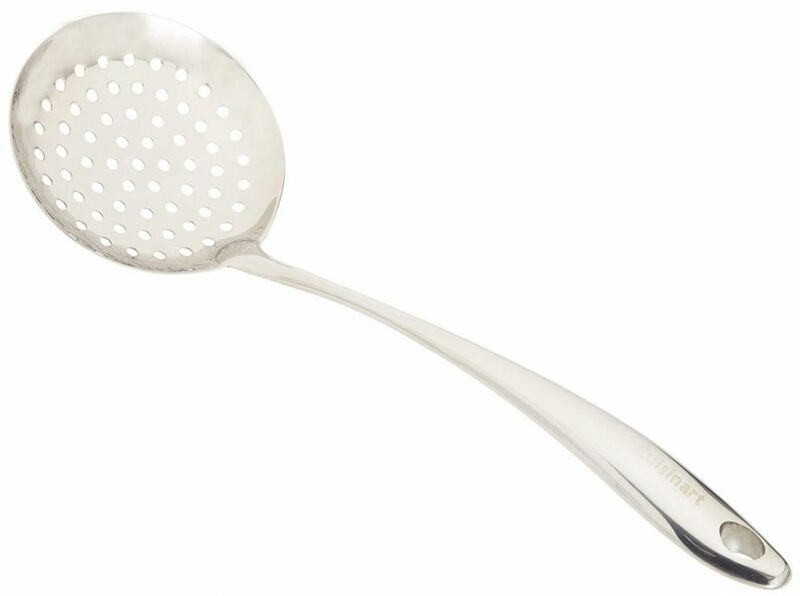 Cuisinart stainless steel skimming ladle from Amazon. 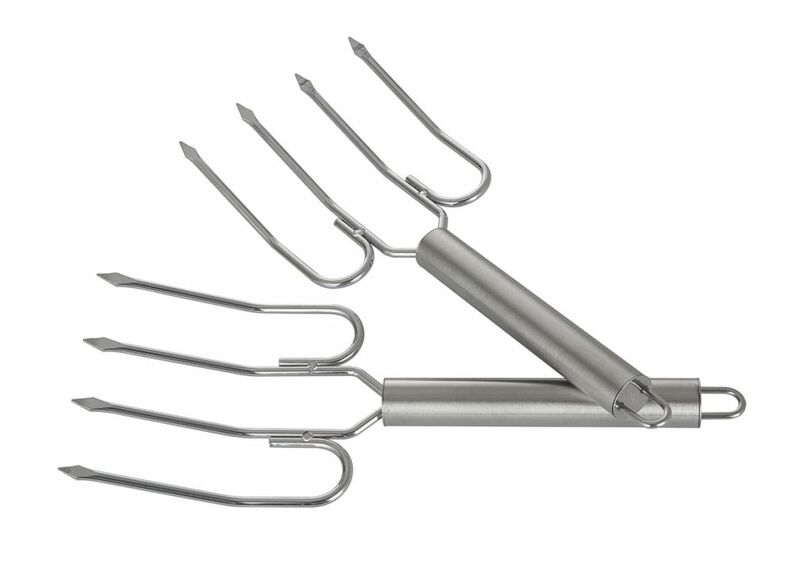 Stainless steel turkey lifters from Walmart. 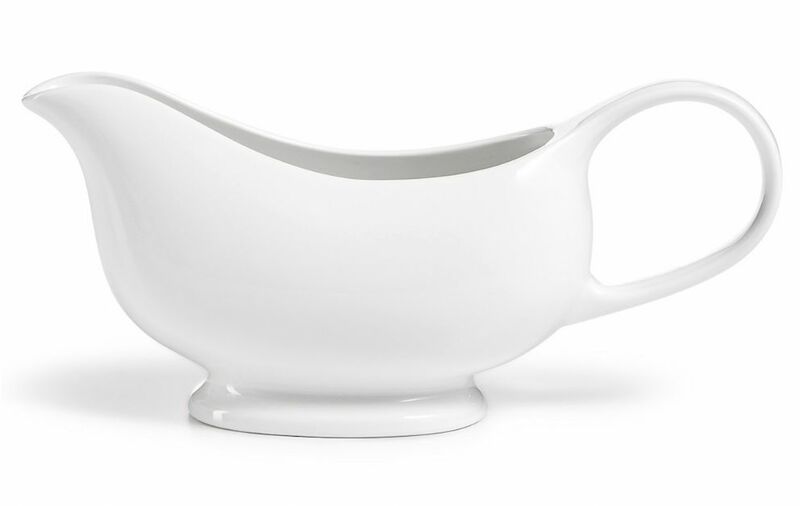 Martha Stewart Whiteware gravy boat created for Macy's. Pyrex glass measuring cups from Sur La Table. 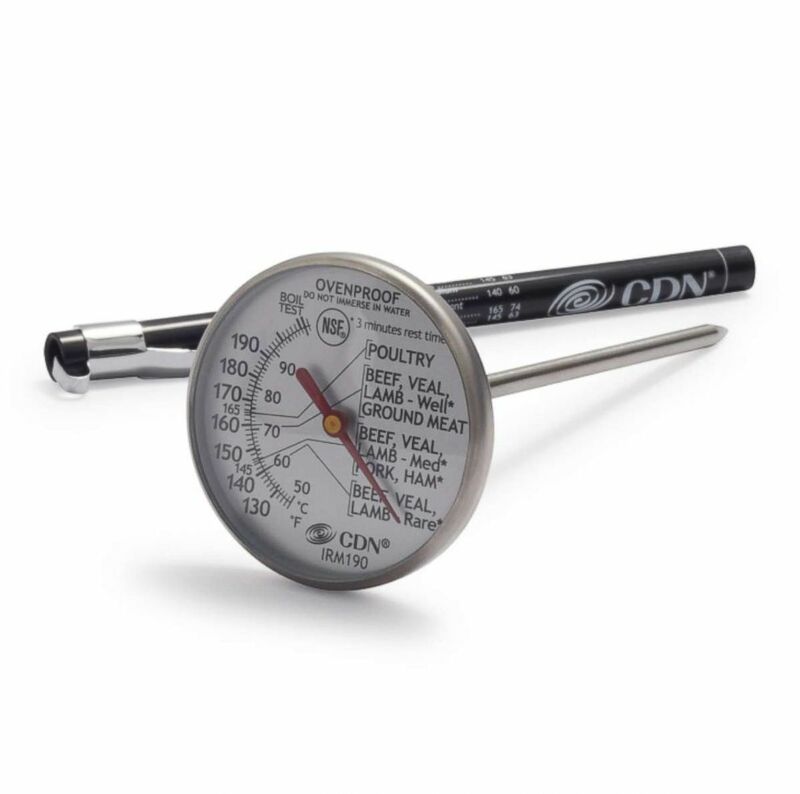 CDN leave-in meat and poultry cooking thermometer from Sur La Table. 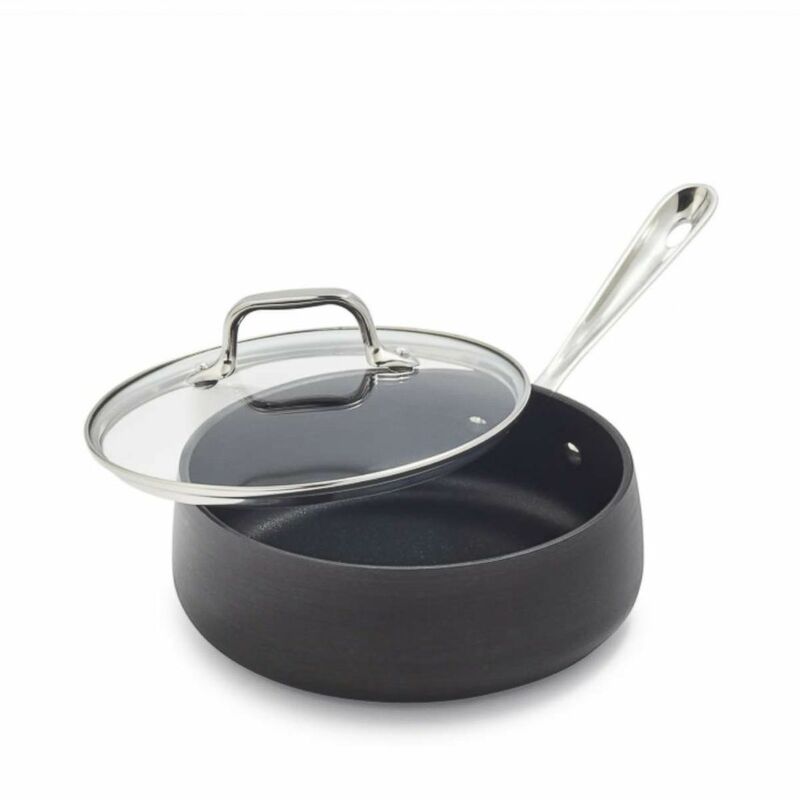 All-Clad nonstick covered saucepan from Sur La Table. 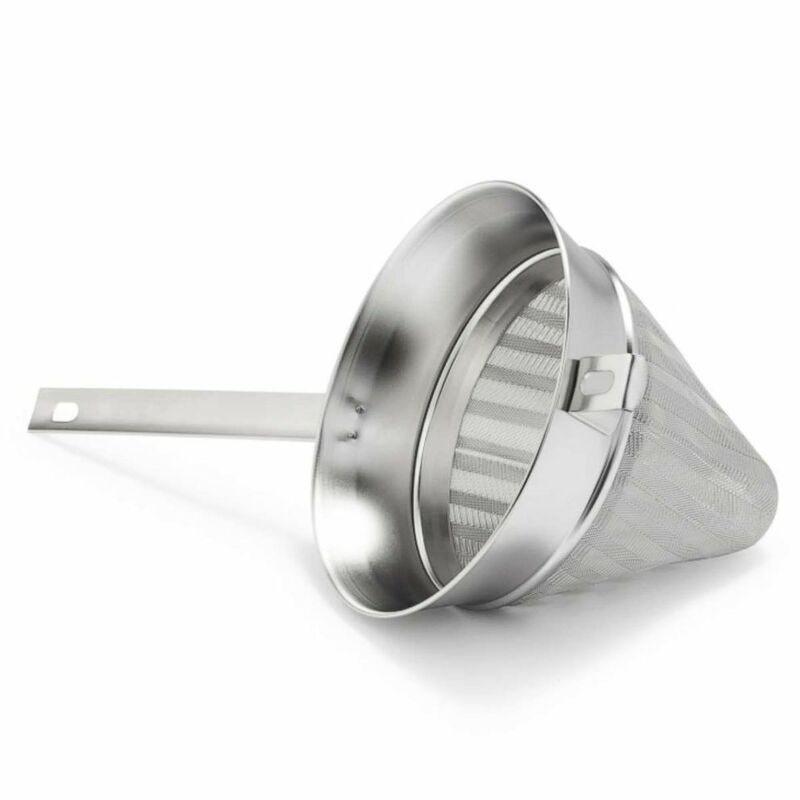 Sur La Table fine mesh stainless steel chinois. Calphalon contemporary 8-inch chef's knife. 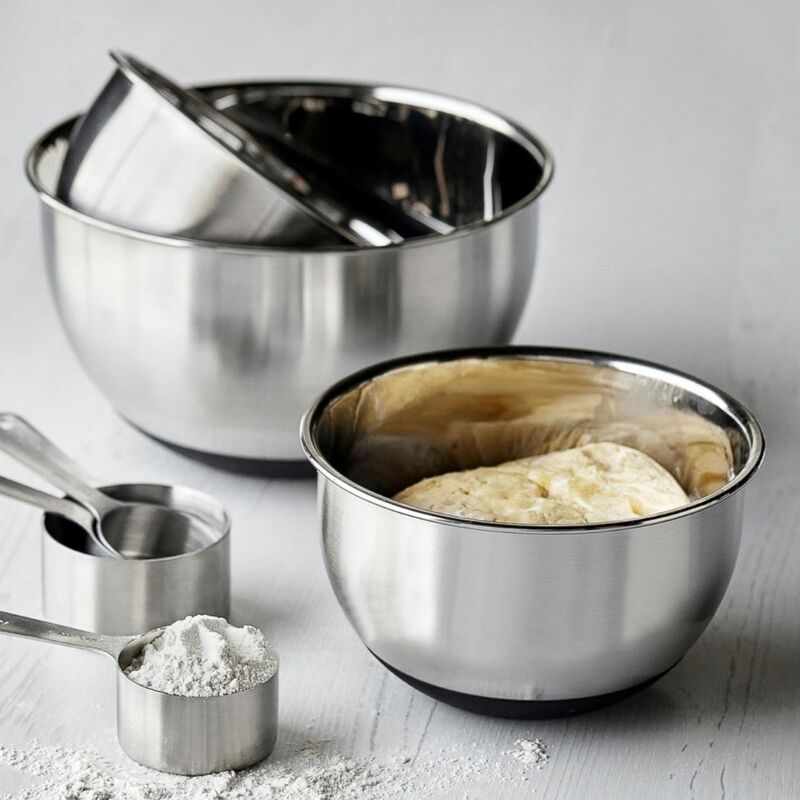 Stainless steel mixing bowls, set of 3 from Sur La Table. 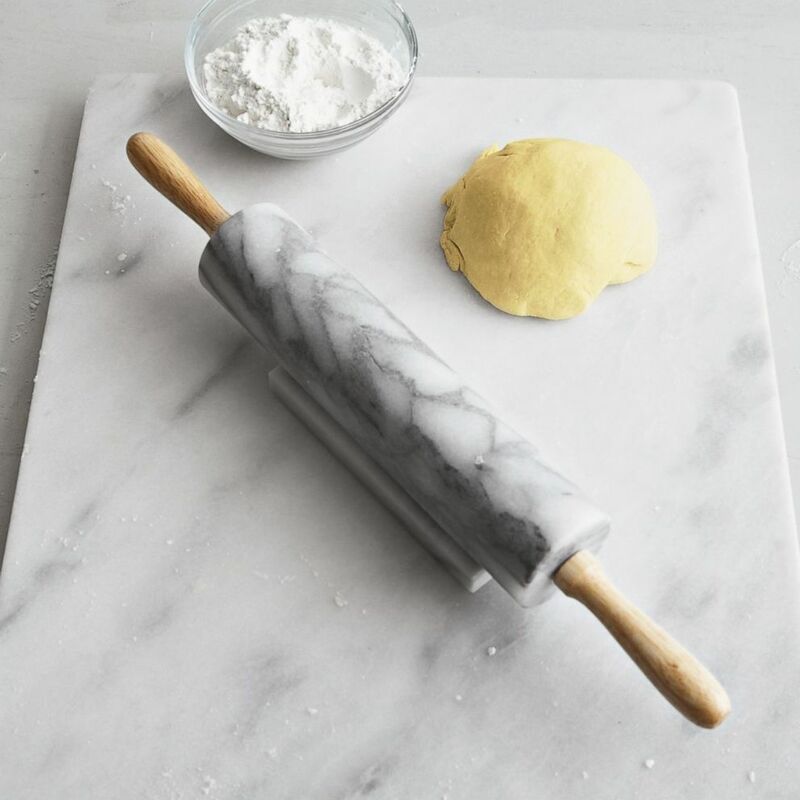 Sur La Table marble rolling pin with handles. 4 qt. 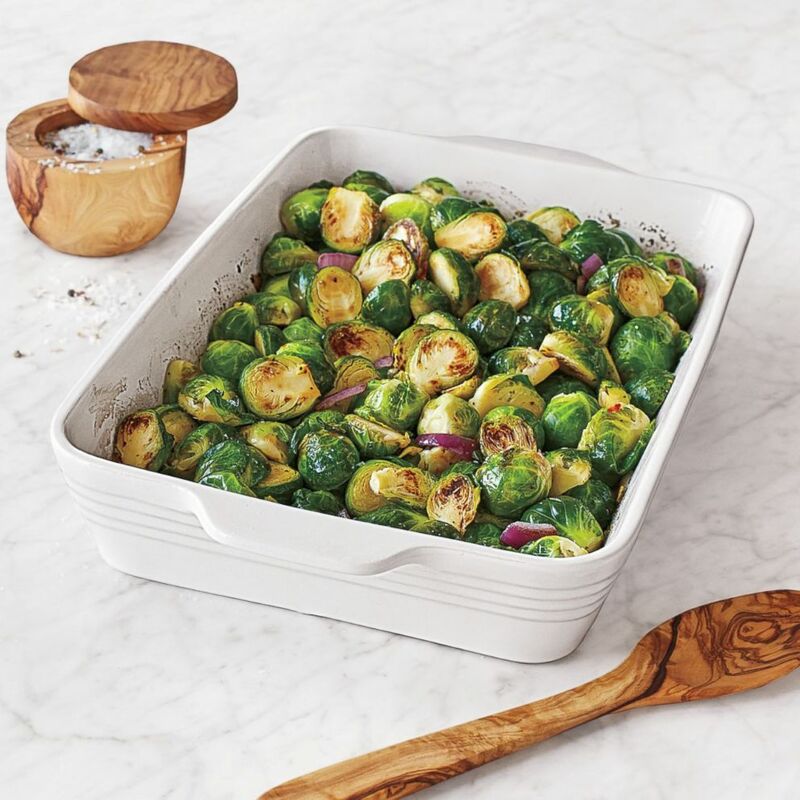 stoneware baking dish from Sur La Table. 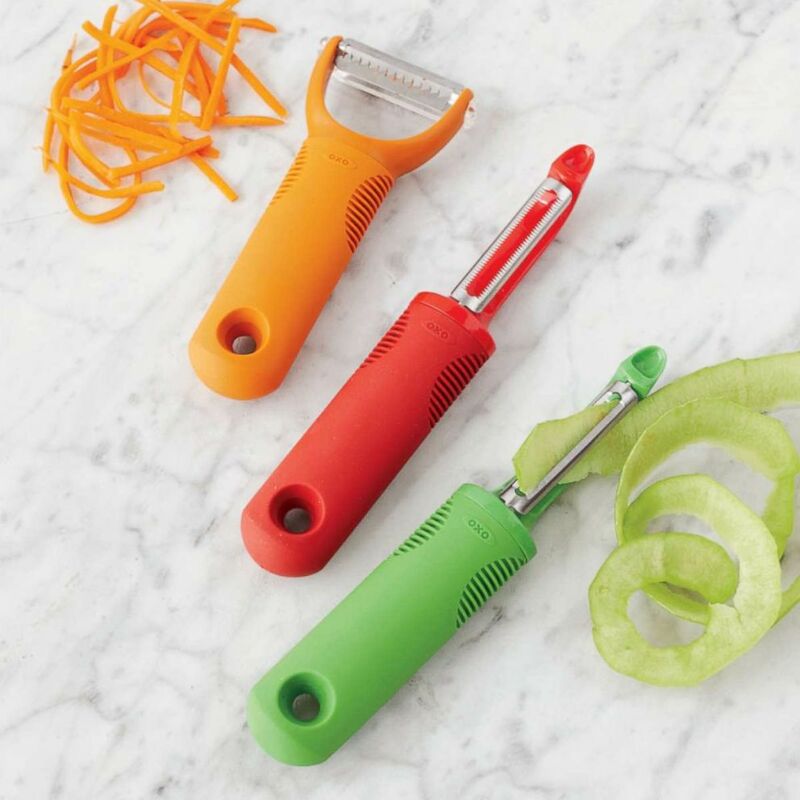 Set of 3 OXO Good Grips peelers from Sur La Table. 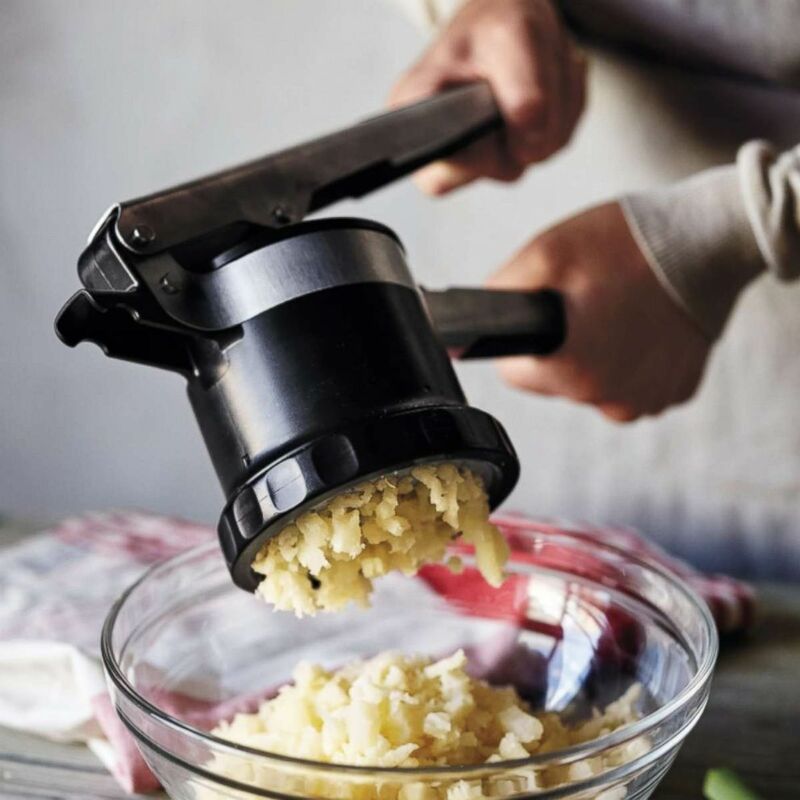 Adjustable potato ricer from Sur La Table. 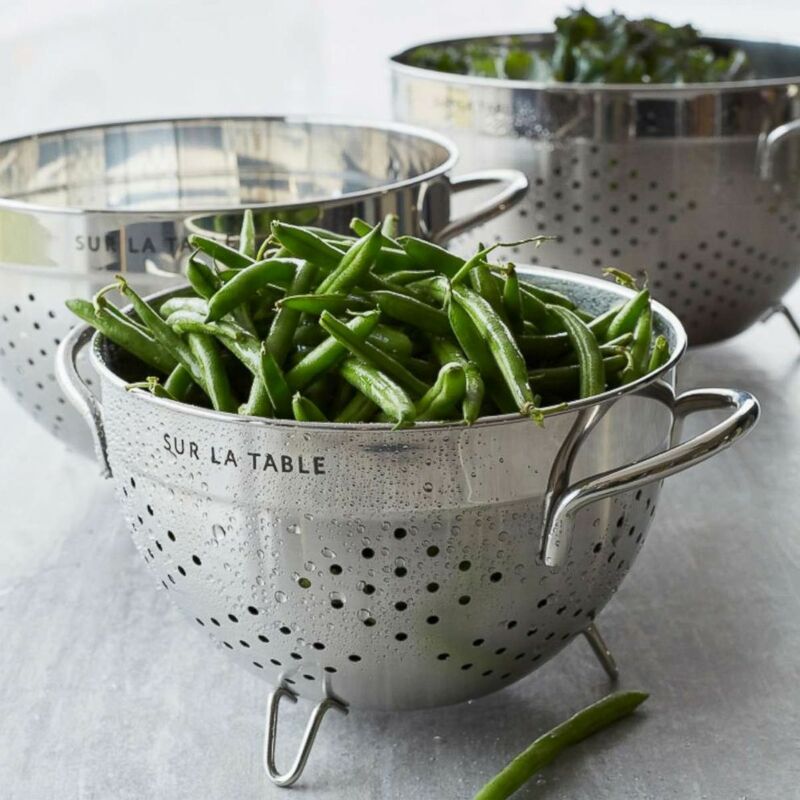 Sur La Table stainless steel colander. 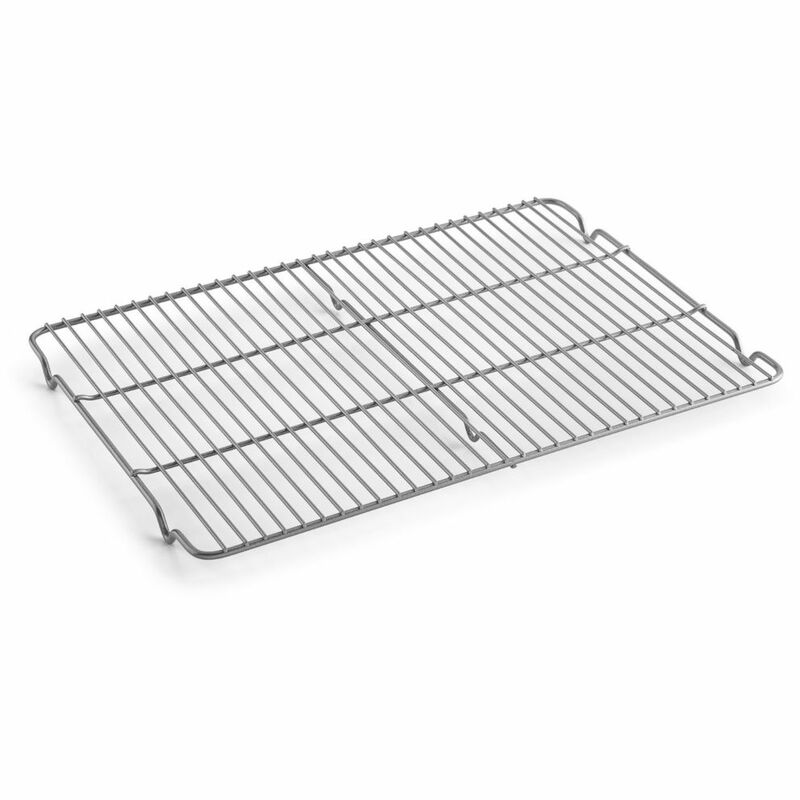 Select by Calphalon non-stick bakeware cooling rack from Target. 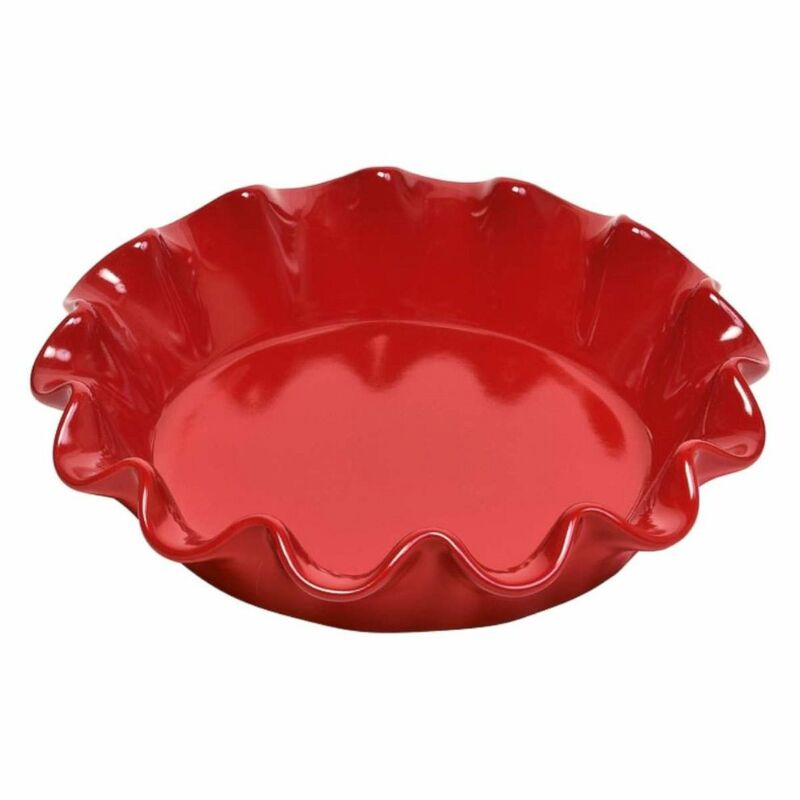 Emile Henry ruffled pie dish from Sur La Table. 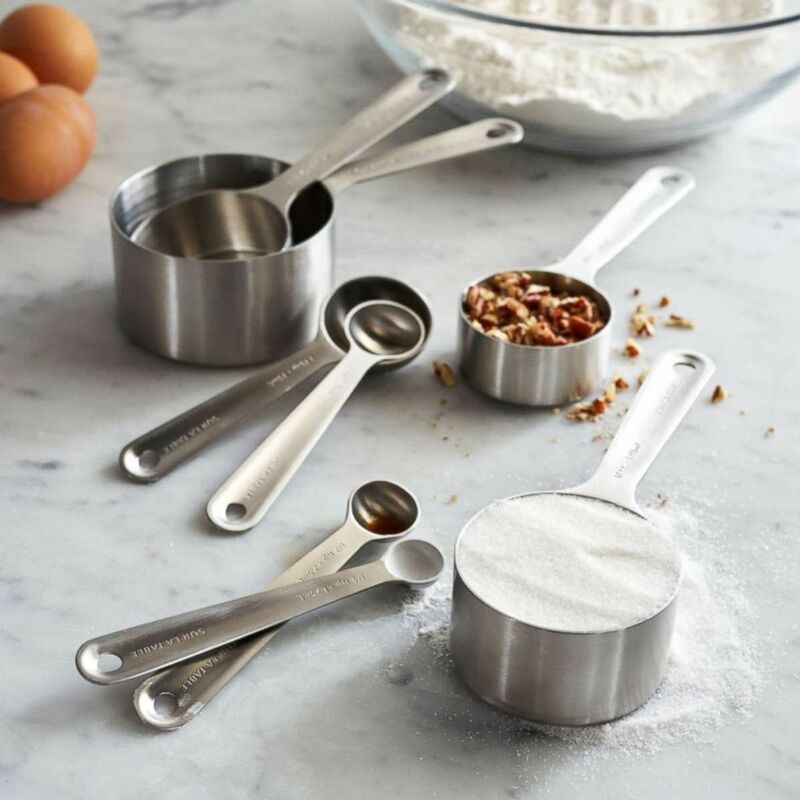 Sur La Table stainless steel measuring cups & spoons, set of 8. 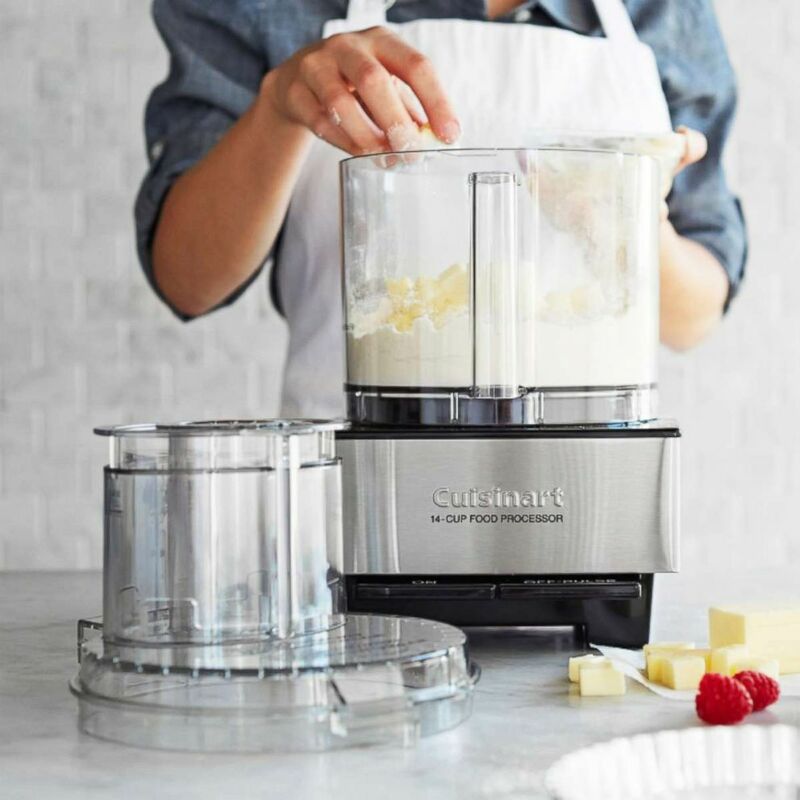 Cuisinart 14-cup food processor from Sur La Table. Hamilton Beach Power Elite multi-function 40oz. 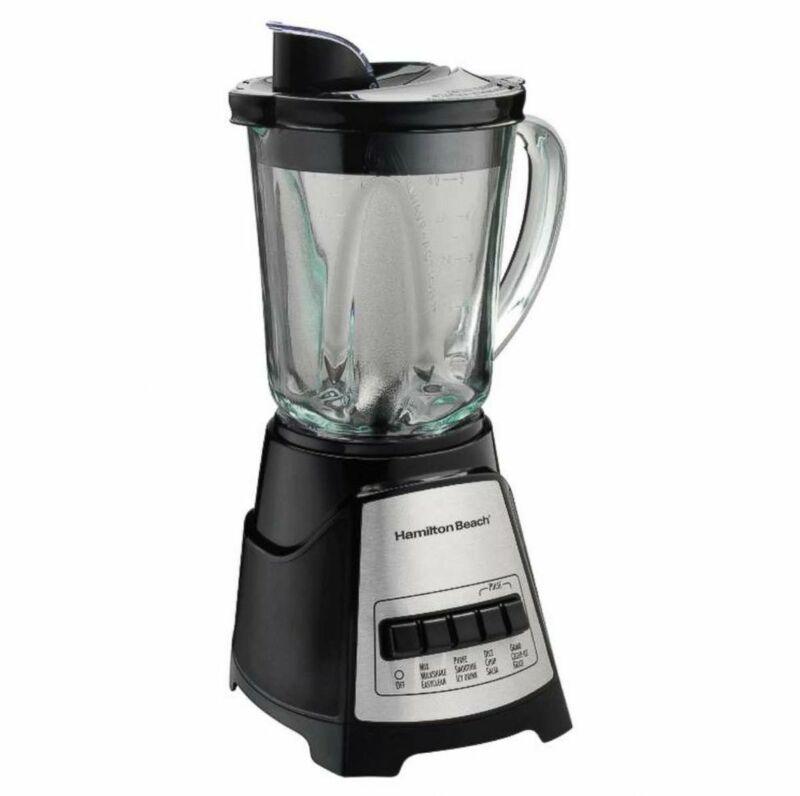 blender from Target. 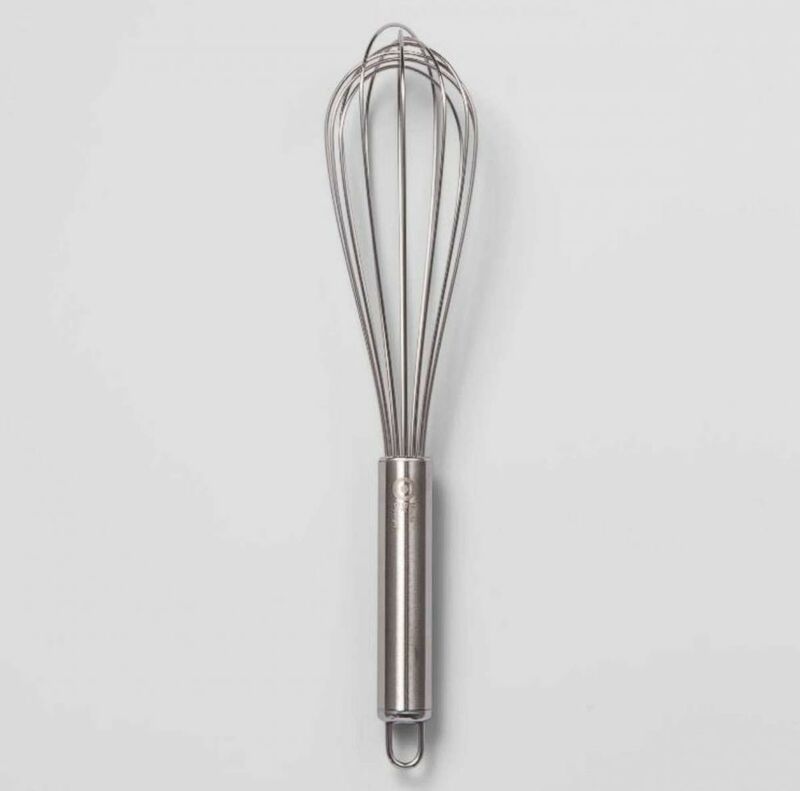 Stainless steel whisk from Target. 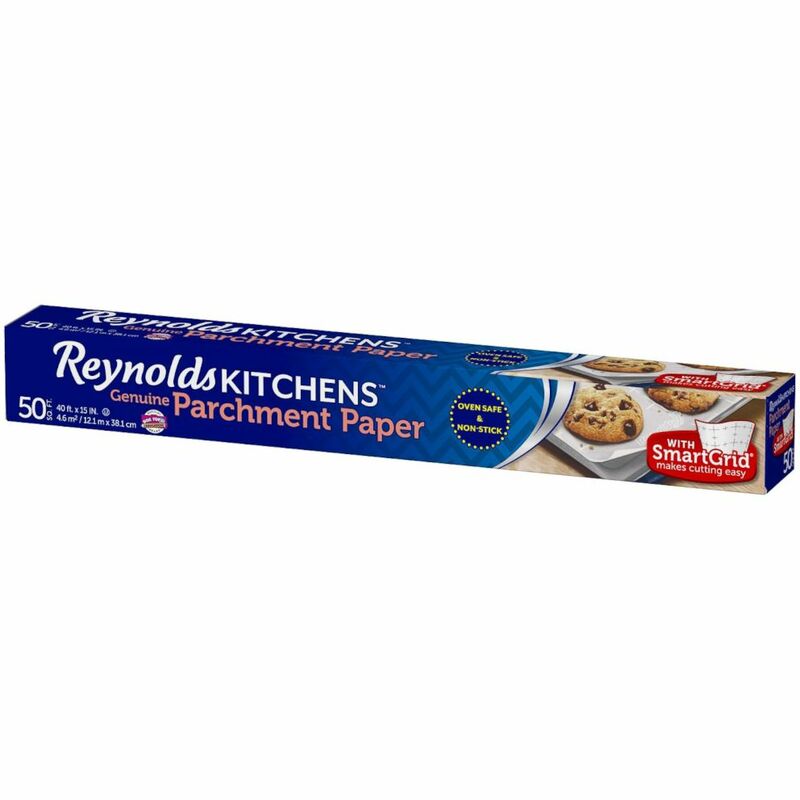 Reynolds non-stick parchment paper from Target.